Three vending machines dispensing crack pipes for $2 each were discovered roadside in Long Island. The machines were marked "PENS" and did indeed contain pens, well, ballpoint pens that had been turned into crack pipes. Town of Brookhaven Supervisor Ed Romaine tested the machine by inserting the required eight quarters and later remarked, "We're going to crack down on this." Now, in the video, they report that the machines formerly dispensed tampons but I think they're wrong. 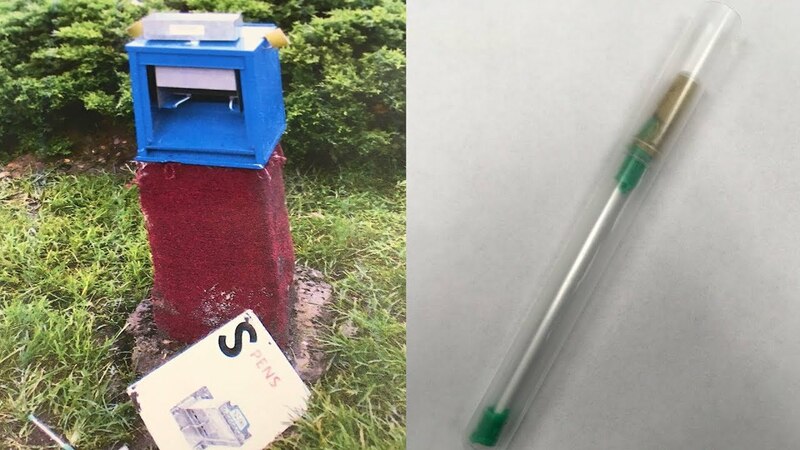 Pen dispensing machines exist and look just like the ones found.